Compared to other sectors that have been steadily embracing digital technologies, it is fair to say that the construction industry has been having a hard time in terms of adopting new innovations. On the other hand, concepts such Augmented Reality (AR)are slowly starting to get incorporated as they hold huge potential for visualizing how the construction process will happen beforehand, giving project managers the ability to ensure the success of the project, double check for mistakes and determine what objectives must be met in order to have a successful launch. Besides AR, the simulation power of Digital Twin is estimated to have the biggest impact so far because it will incorporate raw data and digital simulations that will be capable of developing blueprints construction companies will be able to follow to have a failure-proof method of working. Without any further ado, let’s get into the full capabilities of this piece of tech in the construction sector. The biggest difficulty that hinders architects in terms of coming up with new building designs and projects is the practicality of them. Meaning, that construction design developers are forced to limit their creativity because if a new building design or concept is created, it must be approved to match all of the safety requirements. This presupposes that the new design has to be tested in the real world, which will take up an immense amount of capital, time and other resources just to find out if it can be done or not. If building developers would have the ability to test out their ideas in reality-based simulations that would involve all the necessary real-world factors (e.g. gravity, weather, wind etc. ), the total timeframe during which they could share their ideas and get them approved would be cut 100x. The safety, practicality, and sustainability of the new building designs would get tested in a simulation and the feedback would be just as accurate as it would be if the test was executed in real life because the simulation directly derives data from the world. Construction is deemed to be one of the riskiest professions out there. But what if there was a new way of decreasing the total amount of life-threatening scenarios in the construction industry? If that was possible, the work environment would be more appealing for employees to work in, future job positions in construction would pose themselves to be more attractive to young talent, the total amount of incidents would be greatly reduced and the overall efficiency and work quality would skyrocket. All of these positive outcomes can be brought into reality by manufacturing digital twin versions of work environments in which construction projects are taking place. The newly generated simulation would be connected directly to the workflow and structure of the workplace, giving engineers the ability to prevent specific life-threatening outcomes from happening. 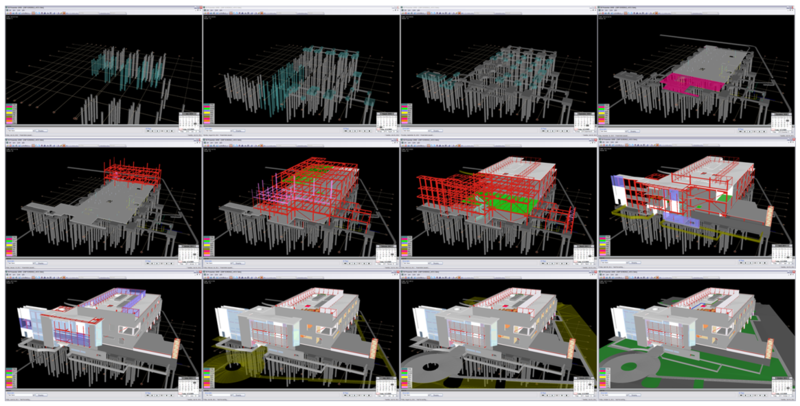 For instance, a virtual twin of newly installed scaffolding would monitor every single piece of metal, measure their most important stress points and show developers which places are under extreme stress. This was one of the case studies we have presented in our event called constructing a digital twin – see event details. This wouldn’t just be useful for workers to see which screw is loose in a door handle – digital twin is capable of saving lives in the real world by utilizing a virtual one. Get the opportunity to find out more about the benefits of this technology in the construction industry by attending one of our most anticipated workshops – click the button below to find out more. Consolidation across early-stage venture capital markets. Find out how team here at challenge advisory is using digital twin to help the energy industry. Continue reading our insights to find out our approach to digital twin consulting.